Business re-engineering and enterprise integration efforts are supported very efficiently by enterprise modelling methodologies. However, with the number of methodologies available the comparison and selection of the most suited one becomes a rather difficult task. Most modelling methodologies orient themselves on the life-cycle concept but usually cover different part of the cycle itself. In addition, terminology and modelling constructs/language for representation of the model contents are further obstacles to be overcome in the selection process. Representation of modelling methodologies as business processes enables their comparability in terms of enterprise life-cycle coverage and capability of enterprise information collection and representation. The paper presents the results of an analysis carried out for several enterprise modelling methodologies highlighting their similarities and differences. All modelling methodologies follow the enterprise life-cycle with emphasis on the requirements definition phase. Several methodologies carry enterprise modelling through design specification and implementation description to operation and model maintenance. Language expressiveness is quite different both in number of language constructs provided and their use in enterprise modelling. In addition, the business process representation provides explicit identification of the information to be collected in the model. Both the information needed for the different modelling tasks and the results of the tasks can be explicitly identified thereby guiding the user of the methodology. The analysis identifies the compatibilities of the different enterprise modelling methodologies and their emphasis on particular parts of the enterprise modelling task. 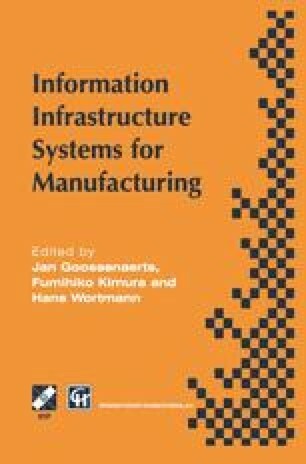 It is hoped that this work also helps to harmonise the results of enterprise modelling as well as the terminology used. Both are very much needed in the work on enterprise integration. Enterprise Integration Enterprise Architectures Enterprise Modelling Business Modelling Modelling Methodologies Modelling Languages.